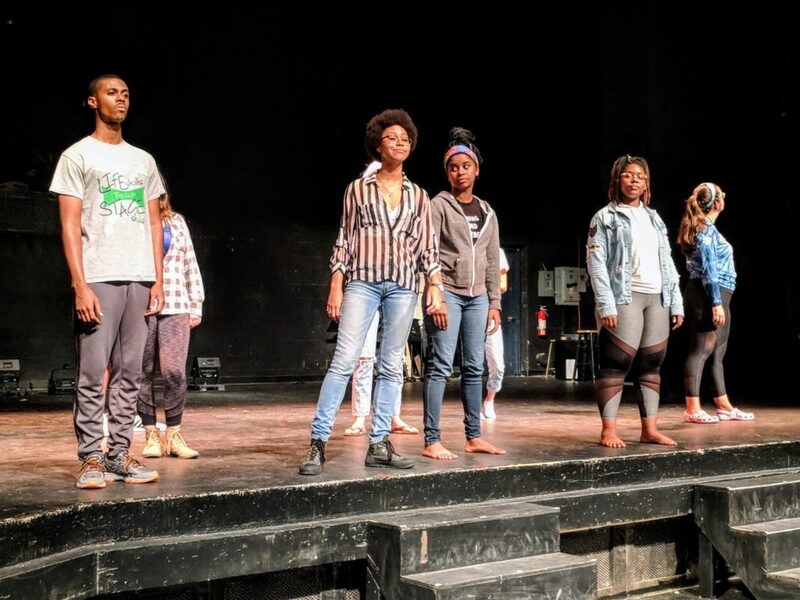 “White Privilege,” a play written by theatre student Malaina Moore, has been selected to be performed next month at the Kennedy Center American College Theatre Region III Festival in Madison. KCACTF is a national theatre program involving 18,000 students from colleges and universities nationwide that has served as a catalyst in improving the quality of college theatre in the United States. The Region III festival will include plays from schools in Indiana, Illinois, Michigan and Wisconsin. The Marquette Theatre cast will perform three matinees at the 130-seat, black box Hemsley Theater at Vilas Hall on the University of Wisconsin campus, 821 University Ave., Madison. There will be one performance on Thursday, Jan. 10, and two on Friday, Jan. 11. Additionally, Marquette Theatre will hold a public performance on campus Tuesday, Jan. 8. Watch Marquette Today for show times and ticket information for the on-campus and festival performances. Moore was inspired to write the play “White Privilege” after seeing a Facebook post that sparked discussion about what the term means to different people. Her play, which was performed to sold-out crowds at Marquette University’s Helfaer Theatre in September, examines how the color of one’s skin can lead to a very different experience of the world. In a discussion on the We Are Marquette podcast, “White Privilege” assistant director A.J. Magoon, Comm ’18, interviewed Moore about the making of her work. A transcript of that interview is also available online. Prior to the September performances, Moore was also interviewed by Milwaukee Public Radio about her play, which features nine actors — including Moore — five of them white, four of them black. It’s set up in a series of vignettes, each one with a theme: racism, cultural appropriation or police brutality.